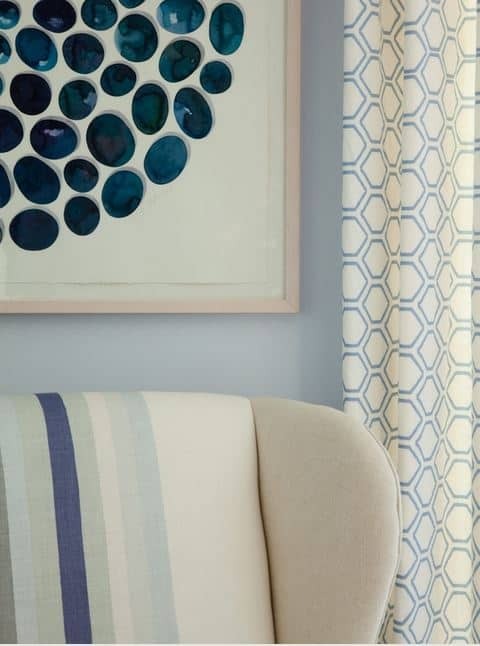 I’m putting another fabulous interior designer in the spotlight today. Somehow, I’ve missed the work of Amanda Nisbet Design, but I was bowled over when I stumbled across some of her work in a magazine and just had to check out her portfolio. 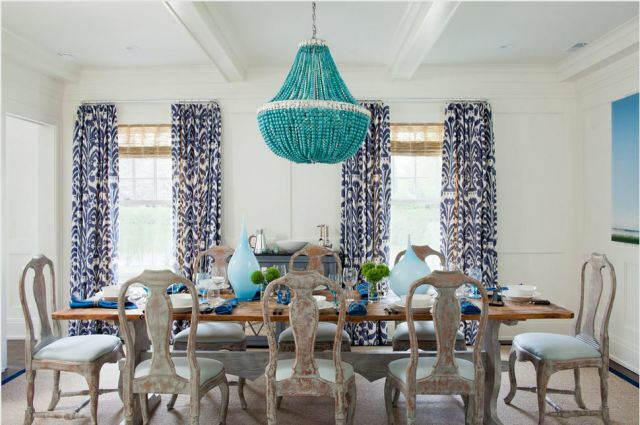 A simply stunning dining room. 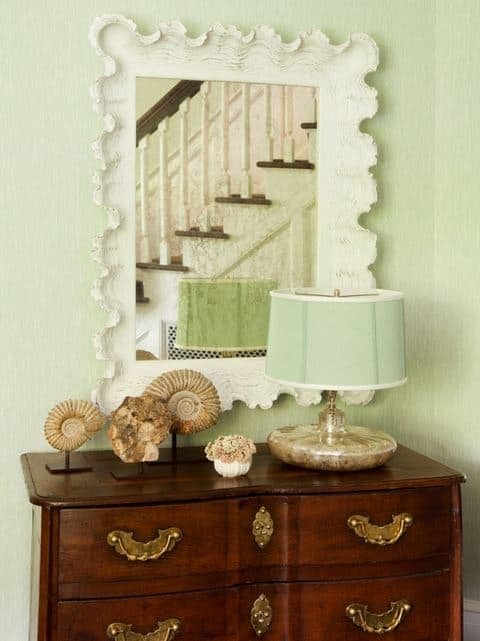 Pretty and soft mint green and current accessories give this traditional chest an updated look. 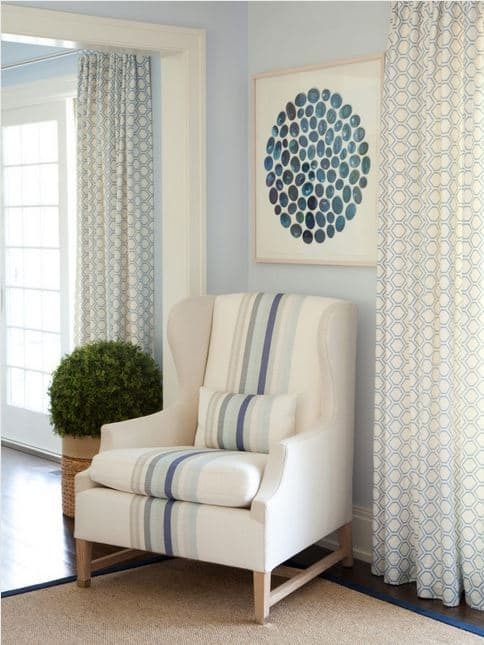 Loving the stripes in this chair paired with the pattern of the drapery fabric. Here’s a closer look. Gorgeous! Love this casual living area. It looks so comfy and inviting. Wow. Check out this headboard. 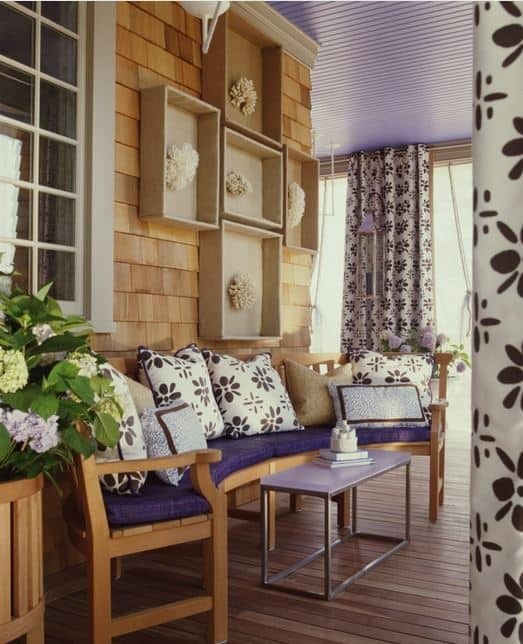 A cozy outdoor nook and check out the display of coral! 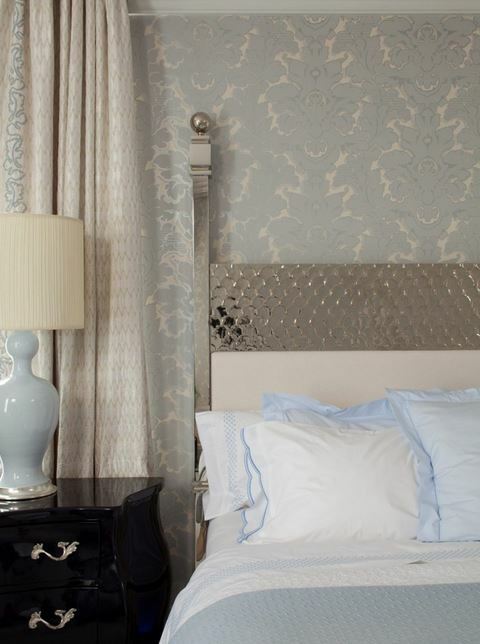 From country houses to city houses to showhouses, the portfolio of Amanda Nisbet Designs is jam packed with inspiration! Click HERE to see more of her work. 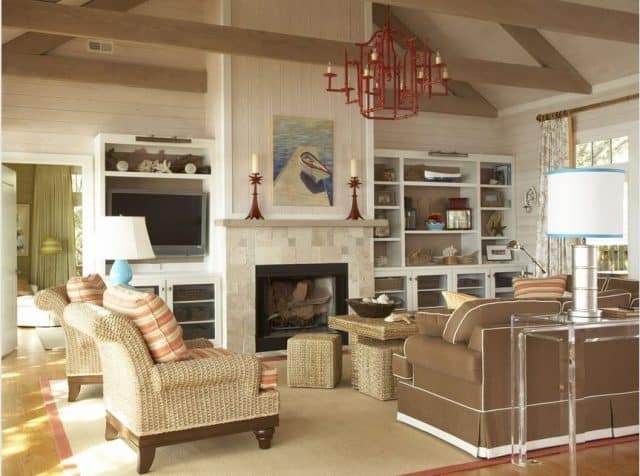 The use of blues and browns make this home look so serene!! Love the mirror over the chest!!!!!! !